Prana Shakti: The Power and Path of Yoga will deepen your practice of and understanding about how to increase, balance and channel prana (life-force) through asana, pranayama and meditation in order to positively impact your or your student’s physical, mental, emotional and spiritual life. Prana is the force of life. Without its grace, transformation would literally be impossible. Thus, in yoga it is everything essential. The science of Prana (Prana Vidya) is the knowledge of building and directing life-force to awaken the fullest potential of yoga and life. These teachings and techniques––detailed in the Vedas, Upanishads and Tantras––detail the hidden keys to happiness, power and success. In the hands of a capable practitioner or teacher, applying this wisdom has the potential to empower you at every level. They reveal how you can change the quality of the Pranic (subtle or etheric) body to affect everything from health, to state of mind, to a deepening of spiritual awareness. Led by Level 3 ParaYoga Teacher Tricia Fiske, the Prana Shakti training will be meaningful to all interested students, designed to enrich experienced practitioners, aspiring teachers or those already teaching. Please note that while it is not required, we strongly suggest completing Vinyasa Krama and Tantra Shakti prior to enrolling in this training. Practices weave together dynamic asana, pranayama, bandha, mudra and meditation practices and are dedicated to enlivening awareness of and your connection to the power of the Pranic realm as well as to transforming how you see practice, yourself and your capacity in the world. This training consists of two parts: morning practices and afternoon practice combined with theory sessions. For those doing the training (open to all interested students––teachers and non-teachers alike), afternoon sessions will deepen our exploration through additional practices, lectures, meditations, and Q&A sessions. Their focus is to enlighten participants’ understanding on how the principles and techniques specifically intended to awaken Prana inspire more profound richness in asana, pranayama and meditation practice––whether it be for your own practice and/or that of your students. 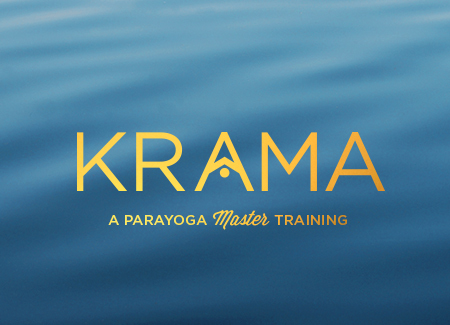 Click here to register through Prana Yoga Center! This book can be purchased on Amazon. It is recommended that you read it before the workshop begins. It is also recommended that for that the month or two prior to the start of the training you begin or recommit to your meditation practice. It will be an invaluable aid to understanding the course curriculum as well as contributing to your overall experience of the training. Please note: At the close of the training all participants are eligible to receive a certificate of completion. However, it is not rewarded on the basis of enrollment. Attendance at all sessions and completion of all contact hours and course work is required.